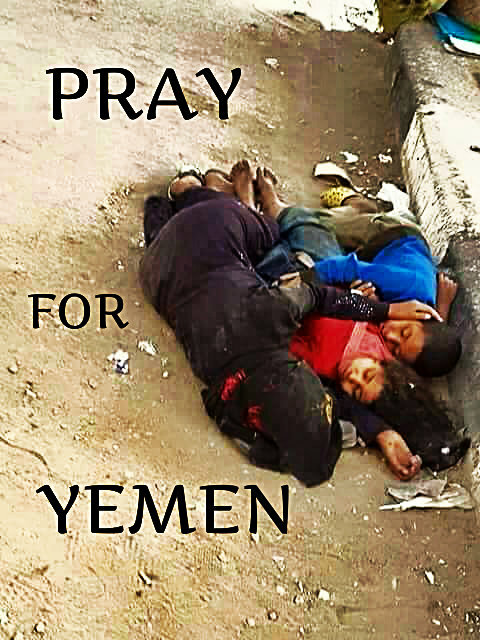 We are the children of Yemen. You do not know our names, like Aylan Kurdi, the 3-year-old Syrian boy whose little lifeless body was found washed up on a beach in Turkey, or Ali Saad Dawabsheh, the 18-month-old Palestinian baby who was burnt alive after Jewish settlers set his house on fire in the middle of the night. 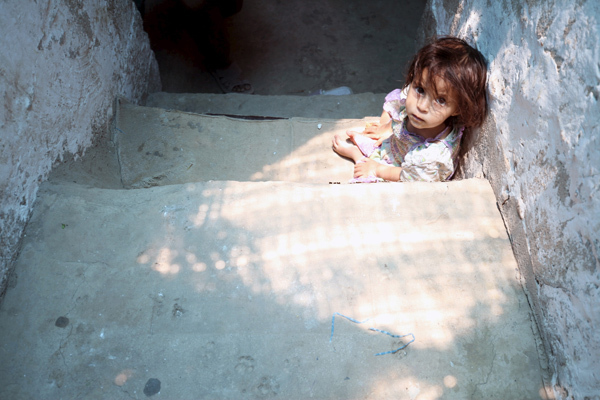 You probably do not know that an average of 8 of us are dying every day, according to UNICEF. But you will hardly hear about us on the news. This despite the fact that at the very moment you are reading this, we are being killed. Why has the world forgotten about us? Why are there no mass social media movements like there were last summer, when Palestinian children were being bombed, no marches or rallies in a show of solidarity, no protests outside embassies? Where is the outrage? In spite of the lack of media coverage of our plight, you probably do have a vague idea of what is going, or at the very least, who is bombing us: a coalition of Muslim Arab countries spearheaded by Saudi Arabia. And speaking of embassies, Muslims have been showing up in large numbers at Saudi embassies all over the world over the last few months, but not to protest. No, Muslims have travelled to Saudi Arabia in their millions over the past couple of months, totally disconnected from the tragedy that is unfolding in the country right next to them. Some have spent their entire life savings to take part in this more that 1400 year old tradition, and while their intention of fulfilling the fifth pillar of Islam is benign enough, they have ended up contributing billions of dollars to the already overflowing treasures of the ruling royal family of Islam’s holiest land, the House of Saud. That is billions of dollars more to support the bombing of our country, our schools and our hospitals. Could this be the reason behind the disparity between the reactions to our needless deaths and to the deaths of the Palestinian children? Hajj? When Israel killed 495 children in Gaza last summer, none were as moved by the senseless loss as the Muslims, and rightfully so. The Palestinians are brothers in religion after all. However, this time around, the silence of the Ummah is deafening. Why? Could it have to do with the fact that now the aggressors are not Zionist Jews but their fellow Muslims? The Ummah responded splendidly to Israel’s disproportionate campaign, which led to an overwhelming majority of civilian casualties. They made the world privy to the suffering of the Palestinians and the war crimes perpetrated by Israel in the name of self-defense, by taking to social media platforms such as Twitter and using hashtags such as‪#‎PrayforGaza‬ and ‪#‎GazaUnderAttack‬ to make pictures of rubble that was once Palestinian houses, and mutilated bodies of Palestinian children go viral. The Hasbara didn’t stand a chance! They also reinvigorated the BDS movement, a campaign of boycotts, divestments and sanctions against Israel. And now? Saudi Arabia’s campaign has also been disproportionate, and killed and injured a majority of Yemeni civilians, including more than 1000 of us children, according to UNICEF. They have targeted our infrastructure and enforced blockades to prevent supplies, including humanitarian aid, from reaching territory controlled by their enemies, the Houthi rebels. This has forced hospitals, which treat us and our mothers, like the one in the capital Sanaa supported by the NGO “Save the Children”, to the brink of closure from a lack of supplies, at a time when we need them the most. But what is the Ummah to do? How do they speak out against Saudi Arabia, especially at the time of the annual Islamic pilgrimage of Hajj? Needless to say, placing sanctions and boycotting the abode of Islam’s most sacred sites is a little bit more complicated than it is with Israel, even though the old city of Jerusalem is home to Islam’s third holiest site, the al-Aqsa Masjid. Of course, Muslims aren’t obligated to perform a pilgrimage to Jerusalem, like they are to Mecca, at least once in their lives if they have the means to do so, and even when it is not time for Hajj, Muslims travel to Mecca for Umrah and to Medina all year round. So it is understandable that the Ummah cannot place any meaningful sanctions on Saudi Arabia. The fifth pillar of Islam is obviously not up for negotiation. Therefore, it is safe to conclude that at least part of the aforementioned disparity between the Ummah’s reactions can be attributed to Hajj. But the deafening silence? Even if you do not boycott Saudi Arabia for their atrocities, you can at least acknowledge what is happening to us here in Yemen, and raise awareness like you did last summer to motivate the Arab coalition to come up with ways to bring the war to a speedy conclusion, whilst minimizing civilian and child casualties. When a picture of homes destroyed by Saudi airstrikes in Sanaa was shared online along with the hashtag #PrayForGaza, it was trending worldwide within two hours, while the original picture was largely ignored, the New York Times article it was published in, not very popular amongst Muslims. In order to make sense of this blatant discrimination, we need to understand the cause for the war in the first place. Indeed one must ask, why is the Ummah at war with itself? Or is it? Perhaps the discrimination has to do with the fact that we the Yemenis aren’t really the majority of the Ummah’s brothers in religion. Not about half of us anyways. And therein lies the true reason behind the hypocrisy of the Ummah. You see, you will not hear the Ummah speak our names or share pictures of our mangled bodies on Facebook, because to acknowledge the war in Yemen would mean to acknowledge the sectarian strife that is as old and as firmly engrained into the tapestry of Islamic culture, history and tradition as Hajj itself. We are the latest victims of the First Fitnah, the first Muslim civil war, which killed tens of thousands of early Muslims and… never really ended. The Ummah do not remember our names or mourn us because they cannot blame Zionist Israel, the United States or any of the kuffar for our deaths. Our blood is on their hands. What hope do the Muslims of today have of peacefully coexisting with one another when their Prophet and Allah’s Messenger Muhammad’s own family, his cousin and son-in-law, Ali ibn Abi Talib, and his wife and daughter of the Sunni’s first rightly guided caliph, A’ishah bint Abi Bakr, picked up arms against one another a mere 25 years after his death, in the Battle of Jamal? Despite the battle’s obvious significance to Islam’s history, never will you hear in the Friday sermons in the Sunni masjids following the Jummah prayers, any mention of the Battle of Jamal. It is the same sort of deafening silence and wilful ignorance that is practised by the Sunnis, who comprise an overwhelming majority of the Ummah, with regard to the current civil war in Yemen. Ours is just another battle of Jamal, another Battle of Siffn, a mere continuation of the First Fitnah. It is a proxy war between the Shi’ite stronghold of Iran and the Sunni Arab coalition, an Islamic sectarian conflict if there ever was one. Of course we do not understand any of this, nor do we have the luxury of asking “why?” as we are huddled up close to what is left of our families with our hands covering our ears, hearts pounding against our ribs as the loud jets fly by overhead. We are mere children after all! 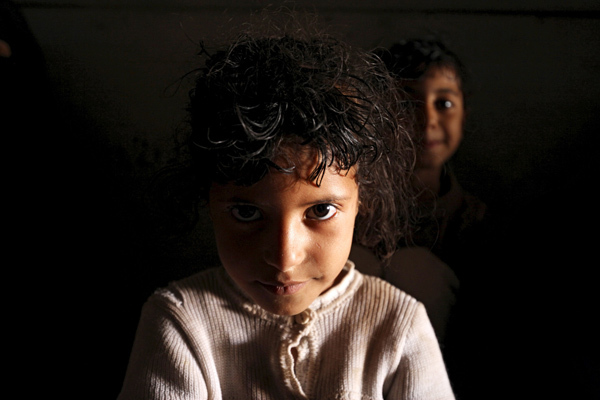 We are the children of Yemen. Like all Muslim children, many of us have been told that our religion, Islam, is one of peace. However, those of us who are old enough to understand the phrase “Islam is a religion of peace” have seen little evidence to support it in our short, cruel lives. We look forward to the day the Ummah will finally take responsibility for their own actions, and ignore the imperfections in their religion no more. 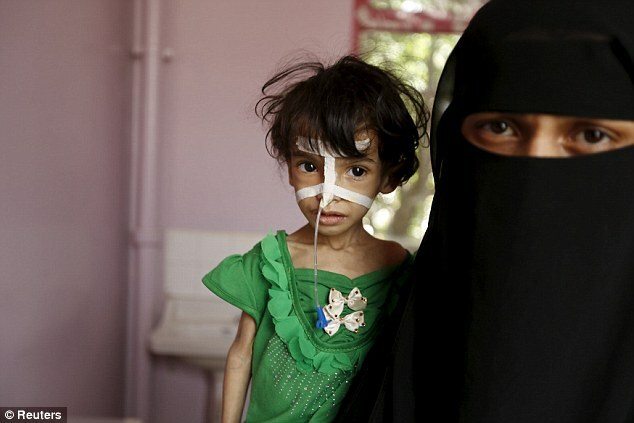 We look forward to the day the Muslims finally ‪#‎PrayForYemen‬. October 5, 2015 in Yemen. ← PUTIN EXPOSES OBAMA’S PAID ISIS MERCENARIES IN MIDDLE EAST AND SYRIA!